Dine were delighted to work at the prestigious launch of the new Football Association Training Centre at St George’s Park, Burton upon Trent with Generate Events.The star studded event, which showcased the new state-of-the-art facilities, was opened by Their Royal Highnesses the Duke and Duchess of Cambridge. 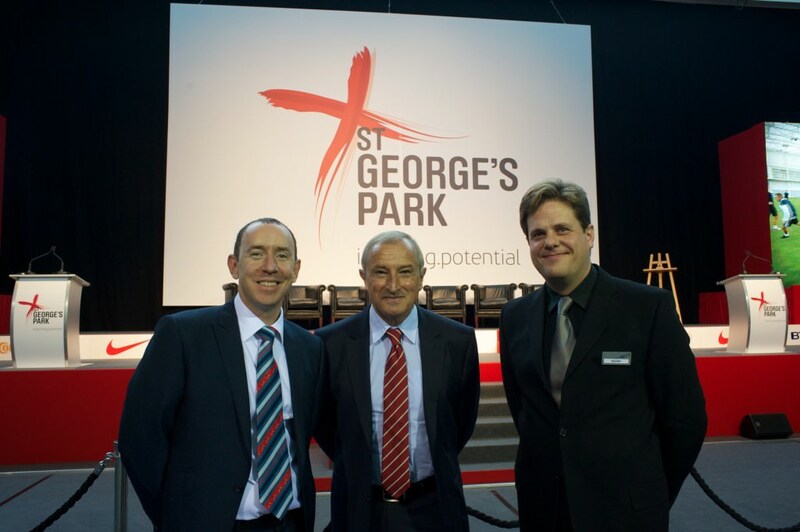 The 600 guests included iconic sportsmen and women, a variety of celebrities and the full England Football Team. Dine’s brief was to serve the equivalent of 100 canapés every minute for the duration of the 45 minute service. Guests were delighted when our team served a spectacular array of canapés on custom made iPad trays, which displayed a video edited by the FA especially for the occasion. Click here to find out more about our corporate and outside catering services.